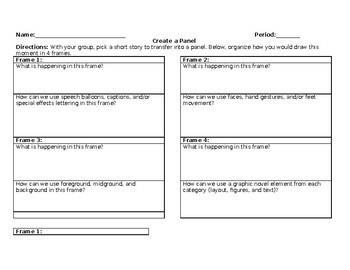 Use this graphic organizer as a pre-activity to working with a graphic novel, or as an assessment to show student understanding. Have the students pick a previously read short story from class and advise students to pick a moment from the story to illustrate in 4 frames. 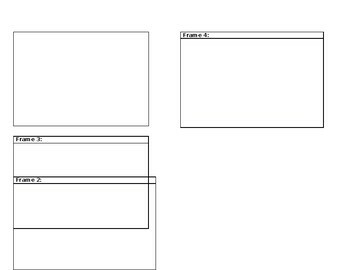 Students will plan how to use graphic novel elements in each frame before drawing.